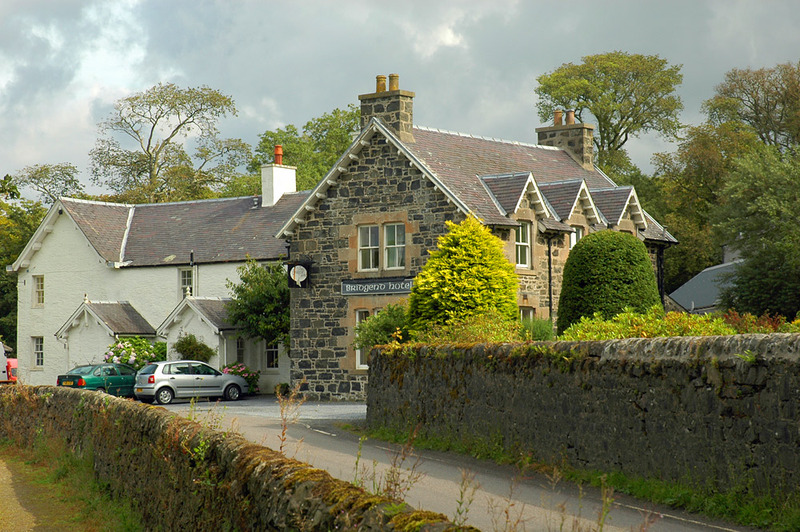 A view of one of Islay’s hotels with a long history, the first recorded mention of the Bridgend Hotel (back then the Bridgend Inn) was over 150 years ago. This view is from the footpath through the village. This entry was posted in Cloudy Weather, Landscape, Repost, Sunny Weather, Village and tagged Bridgend, Islay by Armin Grewe. Bookmark the permalink.